You have 1335 characters. Don’t forget to add important and relevant keywords in your description to improve your iTunes app page and optimize your SEO. Your app's last version was released on April 27, 2015. It is important to regularly update your app. Best practices recommend to update your app every 4 to 6 weeks. This means fixing reported bugs, improving existing features, launching new features etc. Keep an eye on users' feedback. The next great features may already be asked by many users. Do you have a phone and a tablet? 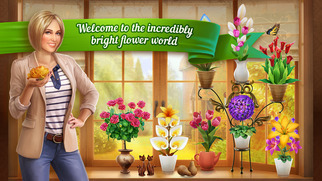 Then you can play Flower House on all your devices. The game is available for iPhone! You can download it in the Apple App Store! What will happen if you try to interbreed a Rose and an Iris? What would a Jasmine Orchid look like? The Flower House game gives you a unique opportunity to create the most weird and wonderful flower hybrids. 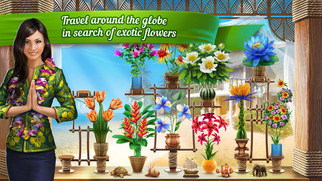 Here you can become a florist and a designer, here you can create your own window sill filled with flowers, grow exotic flowers, create colorful bouquets and gift them to your friends! You will meet various characters who require your help. Each flower you grow will open new stories to you – some funny, some romantic, and some quite intriguing. Get away from the buzz and fuss of the big city: find good neighbors, visit them and help each other grow new amazing plants!